MIAMI, FL (October 17, 2018) – Grupo Piñero, the parent company of Bahia Principe – the leader in all-inclusive resorts in the Caribbean, is making a major USD 30 million investment to revamp Luxury Bahia Principe Ambar. Located in Punta Cana, the 528-room oceanfront property will reopen in November becoming an adults-only vacation haven with updated accommodations and new facilities for guests to enjoy. Luxury Bahia Principe Ambar’s makeover began in June with hotel rooms and common areas receiving updates. The property incorporated 144 swim-up suites that give guests access to a newly-built private pool surrounded by the hotel’s lush gardens. Enhancing the property’s culinary scene, the hotel’s restaurants were reimagined and will now boast modern interior designs. 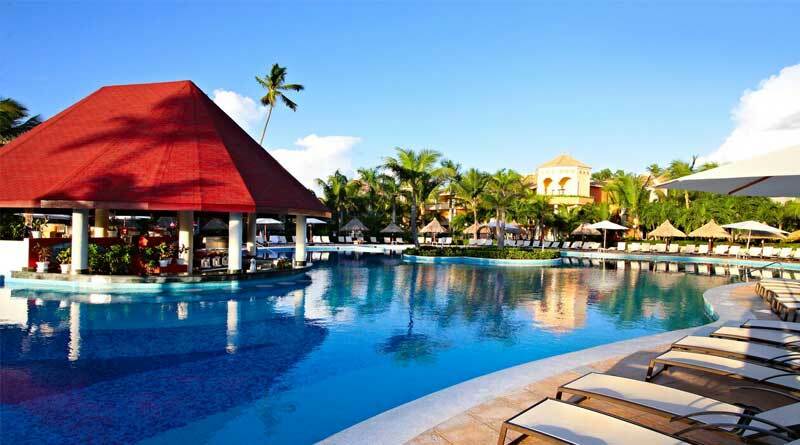 Luxury Bahia Principe Ambar is part of the brand’s seven-property complex on famed Bavaro Beach in Punta Cana, which has begun to receive some upgrades of its own. Guests of all Luxury properties will have access to a brand-new sports bar and fitness center for guests 18 years and older. “We trust that our strategic approach to restoring our hotels and their amenities will help us surpass guest expectations in a hospitality landscape that is more competitive than ever. Today’s travelers look for more than pristine beaches and stunning views,” said Encarna Pinero, CEO of Grupo Piñero. Grupo Piñero has been busy revamping and expanding the brand. In Punta Cana, Luxury Bahia Principe Ambar Green will reopen as Grand Bahia Principe Aquamarine in November, an adults-only, entertainment-focused property. Similarly, Luxury Bahia Principe Fantasia will be renamed to Fantasia Bahia Principe Punta Cana. In Spain, Fantasia Bahia Principe Tenerife will debut this quarter as Bahia Principe’s newest resort, and the brand completed a comprehensive renovation of Sunlight Bahia Principe Coral Playa in May 2018.